"I don't know when/I don't know how/But I know something's starting right now/Watch and you'll see/Some day I'll be/Part of your world." It is from the movie "The Little Mermaid" when Ariel sing this. It's a really great movie full of life lessons that even adults can relate to. 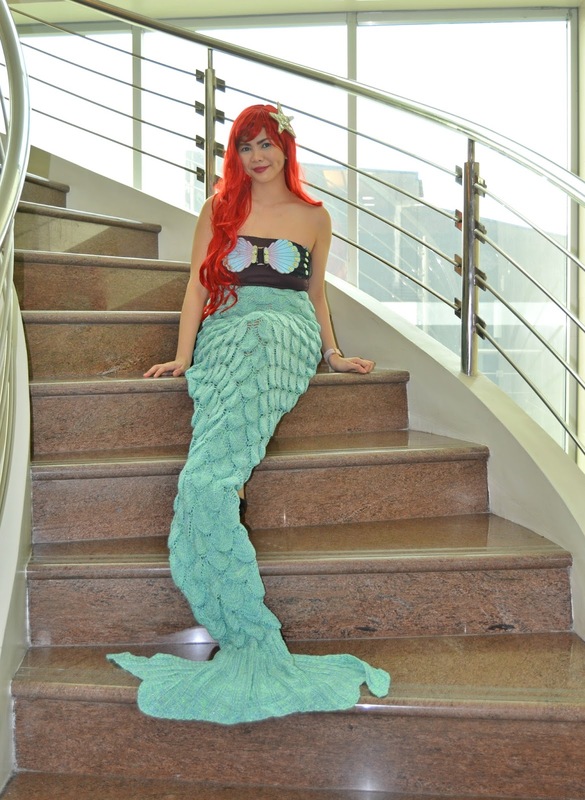 To be honest, Ariel is one of my favorite Disney Princesses because she is so down to earth and full of innocence. 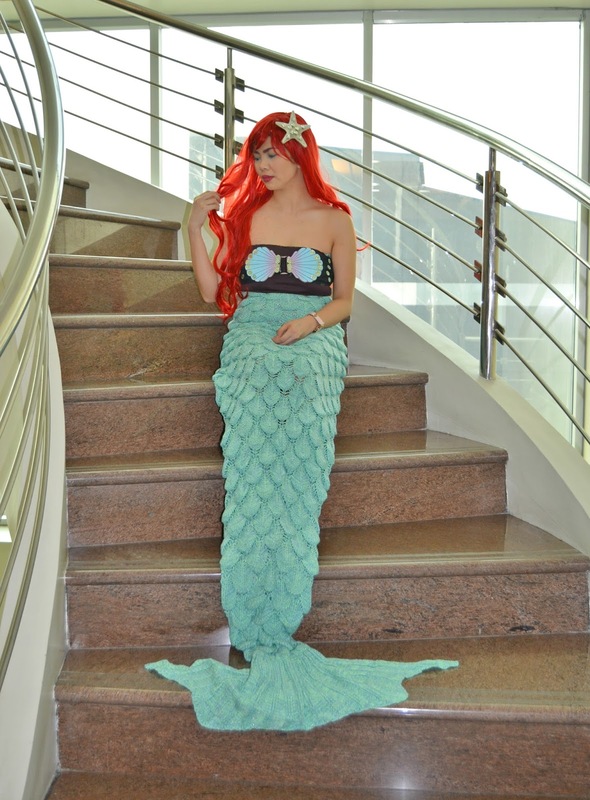 That's why the last time we had a Halloween Costume Party and they themed it as "Disney", I got an idea to why not dress up my favorite mermaid, "Ariel". As you can see on my photos, I am close enough on being like her and I am so happy that I won as a Female Best in Costume. 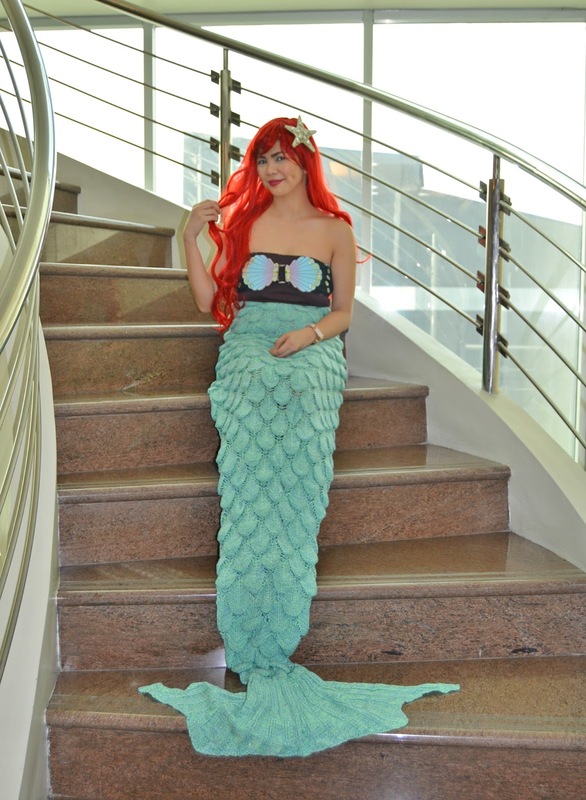 My costume composed of bought mermaid blanket which I just pin on the back so I can wore it while walking, the red wig which I purchased online, my DIY mermaid shell bra and DIY starfish clip. 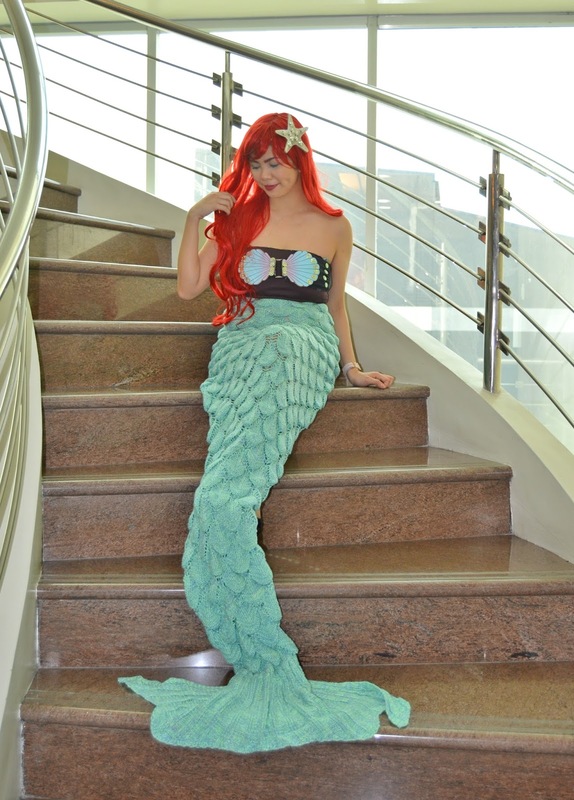 For me to have the shell bra I used an old swimming top, designed it with a printout of mermaid shell paste on a hard bound paper, cut it out and glued using glue gun on the bra. I also bought some sparkly buttons to give some sparkle on it. 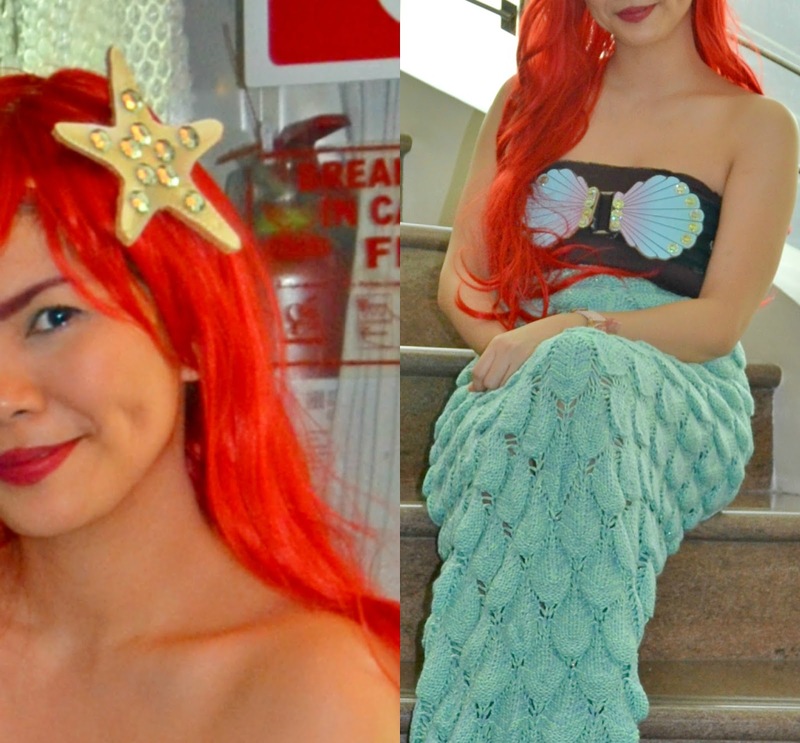 The hair of Ariel is not complete without accessories, right? So I created a clip using an old clip and glued the cut out starfish pasted on a hard bound paper. How do you find my DIY costume?